"When seeking a masonry company to repair and restore the three chimneys on my historic house, I was careful to select a company that understands preservation issues along with competitive pricing. 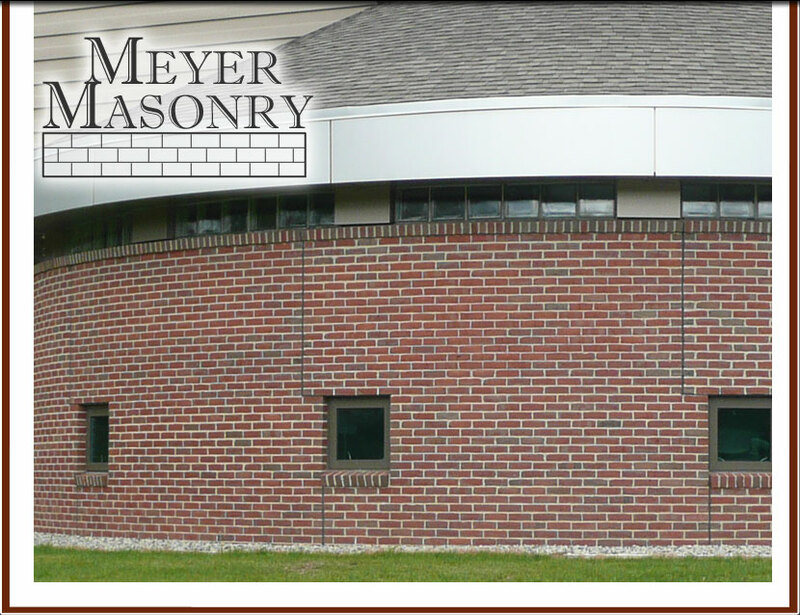 The Fred Meyer Masonry Company in Wakefield, NH have a long list of completed projects that showcase their masonry skills and attention to detail. The Meyer 'family' approach to organization and site responsibility was unexpected; a benefit that added to the successful completion of my project in a timely manner, with the results exceeding my expectations." "The Cole and Barton Hall Renovations at UNH were less than attractive jobs to bid let alone win and then to have to build. Not all Masonry contractors were willing to handle this task - clearly Meyer Masonry knew and understood the scope. The project involved tearing off the old EIFS system that had failed and installing a new brick fa�ade much more like the traditional UNH buildings. The project was occupied with students and facility and work need to be scheduled around classes. Meyer Masonry needed to be flexible and completed disruptive activities early in the day so classes were not affected. I would strongly recommend Meyer Masonry for difficult renovations projects, after this project clearly demonstrated their strength." "Whitcher Builders has worked with Frederick A. Meyer III & Sons, Inc. on a number of projects over the years and in every case we have found them to be very professional and reasonable to work with. Their quality of work and attention to detail are two of the major reasons we have enjoyed working with Frederick A. Meyer III & Sons, Inc. over the years and will be looking forward to many more future projects." "We have worked with Fred Meyers and Sons for over 20 years. We consider FAM III one of our preferred subcontractors. FAM are always willing to do whatever is necessary to satisfy our demanding customers. Their quality of work is impeccable, and we would recommend them without hesitation." - John E. Ricci, P.E., Vice President: Ricci Construction Co., Inc.